Are you thinking of buying solar panels but cannot figure out which type suits your need? This is a common situation, that homeowners are often caught in. That is why it is important researching the different solar panels. Apart from knowing the different types, there are several other variables to put into consideration. In this article, we discuss the different types of solar panels to consider when installing solar energy system. As the name suggests, the Monocrystalline solar panels are made from crystalline silicon. Used on solar energy system, these are thought of as more premium solar panels. The main advantage that a Monocrystalline solar panel system comes with is a higher efficiency and a sleeker aesthetics. The solar cell for a Monocrystalline solar panel is made by forming silicon bars and cutting these into wafers. Thus, these solar panels are given the name to indicate that they used single silicon crystal to make the solar panels. Since the Monocrystalline solar panel feature single crystal cells, the electrons generating the electricity find more space to move. Thus, the solar panel system made using polycrystalline panel is more efficient. The Monocrystalline solar panels livelonger with most manufacturers of these solar panels giving over 20 year’s warranty. Another advantage of these solar panels is that they come with better performance in case of low light conditions. Also referred to as multicrystalline solar panels, these are a newer technology panels. Similar to the Monocrystalline solar panels, they use silicon crystal placed in a vat of molten silicon. The difference is that rather than drawing the silicon crystal seed, the vat of silicon is allowed to cool. This forms the distinctive edges and the solar cell grains. The polycrystalline solar panels are thought to be inferior compared to the Monocrystalline type. However, since they use a cheaper production method, these have become more common compared to the Monocrystalline solar panels. In fact, they dominate the residential solar panels market. The polycrystalline solar panel system is cheaper and simpler to make. In addition, the amount of silicon wasted is less compared to the Monocrystalline panels. The thin film solar panels are made using solar cells with light absorbing layers. These are over 300 times smaller compared to the standard silicon panels. The narrow design and the efficient semi-conductor used in manufacturing these solar panels, makes the thin film solar cells lightest PV cells. The thin film solar panels come with an innovative advantage in terms of carbon offset. 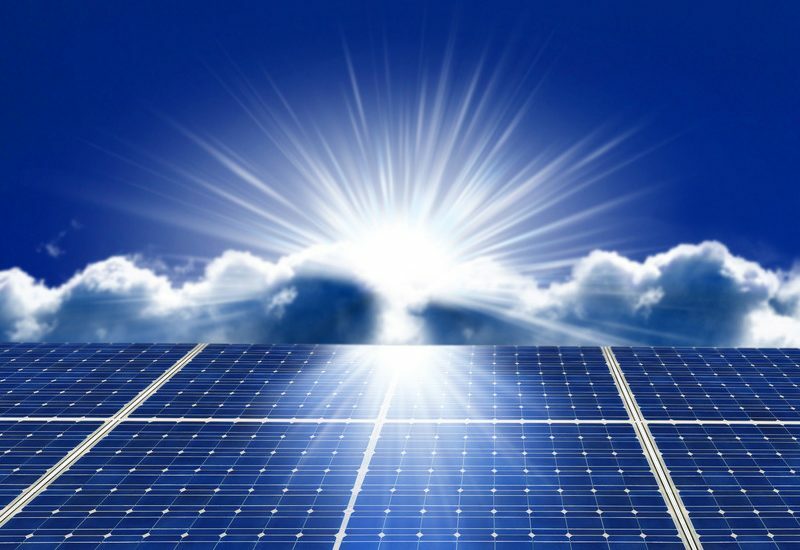 The silicon that is required for the standard panels is more significant compared to that in the thin film solar panels. The thin film solar panel is also simple to install compared to the other two types discussed above. Those are the different types of solar panels available in the market. The thin film solar panels are mostly used in commercial setups. The crystalline technology solar panel systems are used in residential setups.